The Murmansk Regional Museum of Local Lore displays the variety of wildlife of the Murmansk Region, its mineral resources and its historical monuments on the whole territory of the Kola Peninsula. Of great interest is the dry aquarium which represents the underwater life of the Barents Sea and the diorama of Aurora Borealis. 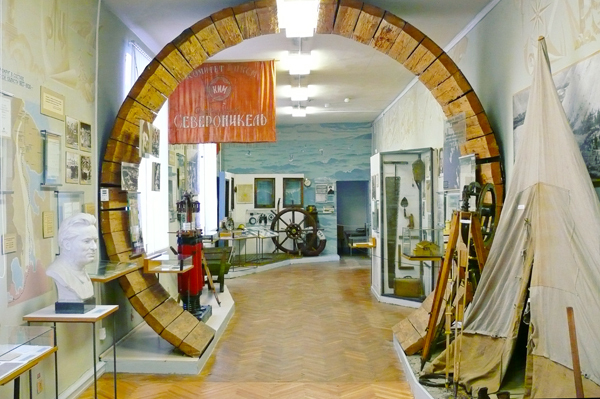 The exposition devoted to the history of the Murmansk Region shows original tools and crafts of the Saami people, traditional house interiors, exhibits referred to the times of construction of the Murmansk railroad. The museum is worth visiting specially if you come to Murmansk for the first time to get a versatile picture of the Murmansk Region. Open every day from 11 a.m. till 6 p.m. except Thursday and Friday.